Q3 2016, Applied Systems UK adds multi-zone sound masking system to offices, meeting rooms and conference room facilities at its European headquarters in Brighton, England (UK), calling upon the services of local AV integrator Briant Communications to install a sound masking solution from Cambridge Sound Management Systems. Founded in 1983, the Applied Systems group of companies is recognised as a pioneer in insurance automation and data exchange between brokerages, insurers and clients, with more than 1,300 members of staff worldwide and servicing more than 14,000 clients in North America and Europe. Having recently relocated the European headquarters into a smart facility at Trafalgar Place, Brighton utilising an open-plan office environment, Applied Systems immediately identified requirements for a number of sound masking solutions to be installed in the new location. 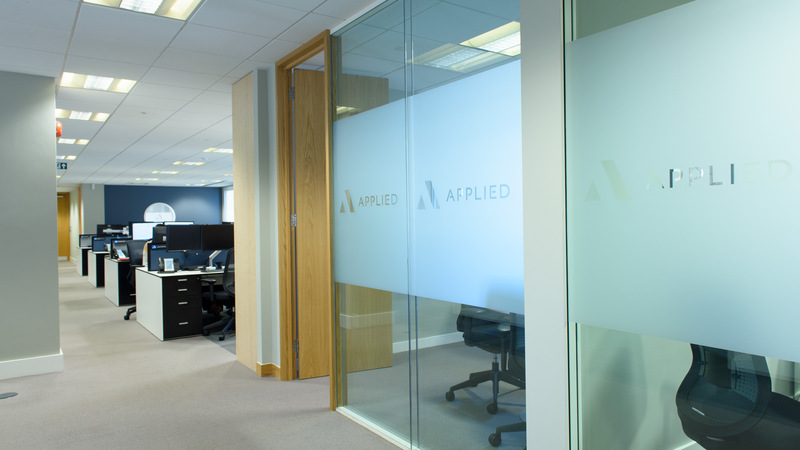 Rita Swaffield, Office Manager for Applied Systems UK in Brighton, commented, “The new offices are larger and more open in design than our previous location. Applied Systems prides itself on customer service, which means we must ensure colleagues are able to conduct telephone calls and conversations in a confidential setting and carry out work free from distraction”. “We decided to implement sound masking measures as part of our overall commitment to privacy and confidentiality, as well as the well-being of our staff”. 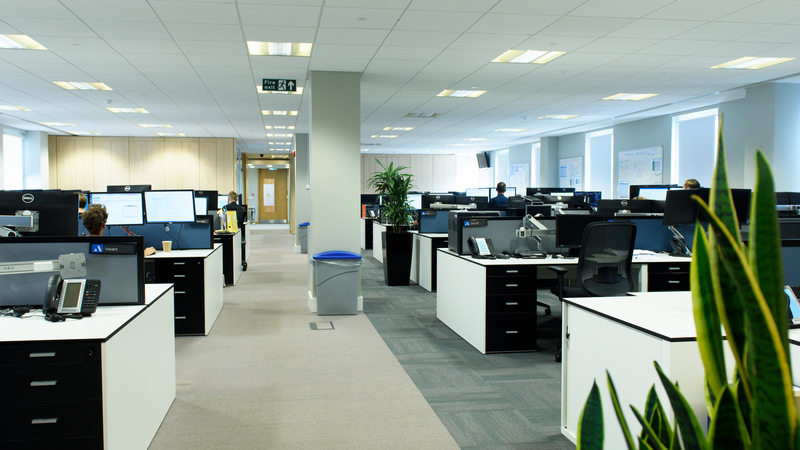 Tasked with providing and managing the solution, Gary Eke, IT Support Analyst for Applied Systems UK, called upon the services of Briant Communications to design, supply and install a multi-zone sound masking solution for the new office. Briant Communications contacted Sound Directions Ltd, UK importers for Cambridge Sound Management products, to produce the system design for the sound masking system to be installed at Applied Systems UK. 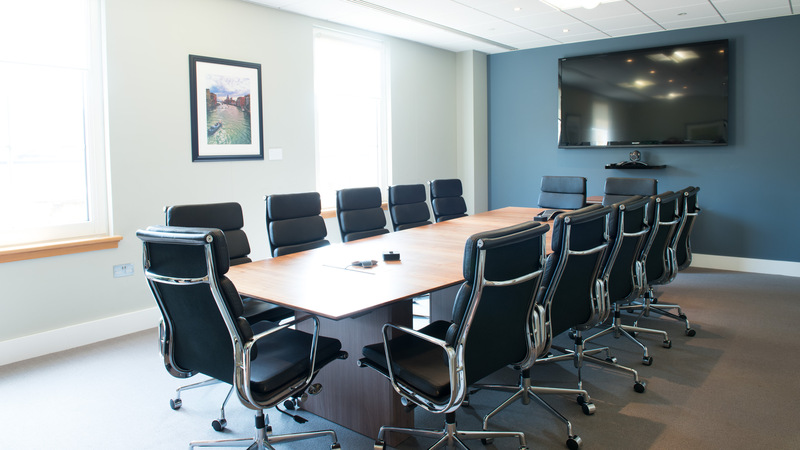 A Qt® 600 Sound Masking Zone Controller from Cambridge Sound Management was installed, out of office hours during the course of a weekend, by Briant Communications, ensuring business continuity. The sound masking system was commissioned during a subsequent visit to the location during office hours. The sound masking solution from Cambridge Sound Management introduces additional layers of sound to an environment, tuned to the frequencies and amplitudes of human speech, masking excessive speech noise and allowing environments where it is introduced to become more comfortable, private and free of excessive distractions. A number of small, barely visible sound masking emitters are installed in the ceiling tiles throughout the open plan office areas, management offices, meeting rooms and conference facilities, and are strategically positioned to provide optimum coverage. Cables from the emitters in each zone are daisy chained and fed back to the Qt® 600 Control module located in the office’s on-site server room. During commissioning of the sound masking system, it became a requirement to adjust one of the sound masking emitters located above a staff member fitted with a hearing aid and tuned to speech frequencies. Gavin Cox from Briant Communications comments, “The flexibility of the systems from Cambridge Sound Management is such that we are able to adjust levels of individual emitters in each zone”. Gary Eke adds, “The control element of the sound masking system from Cambridge Sound Management sits on our existing IT infrastructure, which allows us to access it via a PC on our internal network and set levels in each zone as required”. “We regularly hold company meetings in the open plan office areas and need to adjust the system to allow the presenter to be heard across the entire office. The network control of the system allows this to happen easily”, concludes Gary Eke. Benefits for Applied Systems UK of the installed sound masking system include reductions of general conversation levels across the open plan offices, a quieter work area for software development teams utilising the open plan office environment and enhanced privacy and confidentiality for telephone conversations, conference calls and meetings. Lucy Sargent, Customer Experience Manager for Applied Systems UK, adds, “I was a little sceptical a sound masking system would provide us with the benefits required. The introduction has almost created an ‘invisible audio partition’ between our Customer Experience teams and our Software Development teams, essential in open plan environments. This allows Software Development teams to work without being distracted by telephone conversations taking place amongst Customer Experience teams and vice-versa”. With an ever-increasing emphasis on and recognition of the correlations between employee well-being and workplace performance, the introduction of sound masking systems in the workplace to enhance employee well-being can potentially improve workplace performance. “It also feels like privacy and confidentiality has improved, too, as it seems less likely to be distracted by other telephone conversations and customers are less likely to hear background noise in the office. Consequently, the environment feels calmer, less frenetic, too”, concludes Lucy Sargent. Hanieh Motamedian, Business Development Manager for Sound Directions UK, adds, “I have a personal history of suffering with occasional tinnitus and my own experience with sound masking systems suggest an almost immediate improvement when subjected to an environment with a sound masking system from Cambridge Sound installed”. “I shall also be exploring other well-being in the workplace benefits of a sound masking system, as this is a particular passion of mine, after all we all spend a lot of time in workplace environments”.